Why are people so afraid of risotto? Contrary to what a lot of home cooks seem to believe, it's really not a difficult dish to make yourself. Sure, there's a lot of stirring involved, but it's not nearly the culinary beast it's made out to be. The real deterrent to making homemade risotto isn't that it's hard—it's that it requires a lot of attention. Risotto needs a lot of babying. Part of the process involves standing over it for 20 to 30 minutes at the stove, stirring almost constantly while adding small amounts of liquid. All that work is worth it, though. Adding the liquid a little bit at a time allows the rice to absorb it and plump up, while also dissolving the starches and giving it that creamy consistency. But sometimes, risotto isn't the only thing you're cooking and you can't dedicate all your attention to it. And sometimes, you just plain don't feel like watching the stove for half an hour. Surprisingly, your rice cooker can come in handy here. As Wolfgang Puck explains, "a rice cooker does a good job of safeguarding the moisture of risotto rice. 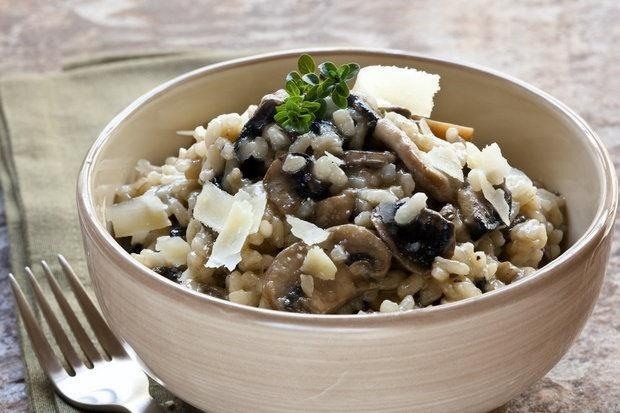 So when you add a little more broth at the end of cooking, along with some juicy mushrooms that you've sauteed with chopped onion and minced garlic, and then stir the rice for a minute or so, you can still achieve risotto's familiar creamy sauce." The most important ingredient in risotto is the rice. Only short, plump, starchy rices work to achieve the right texture. 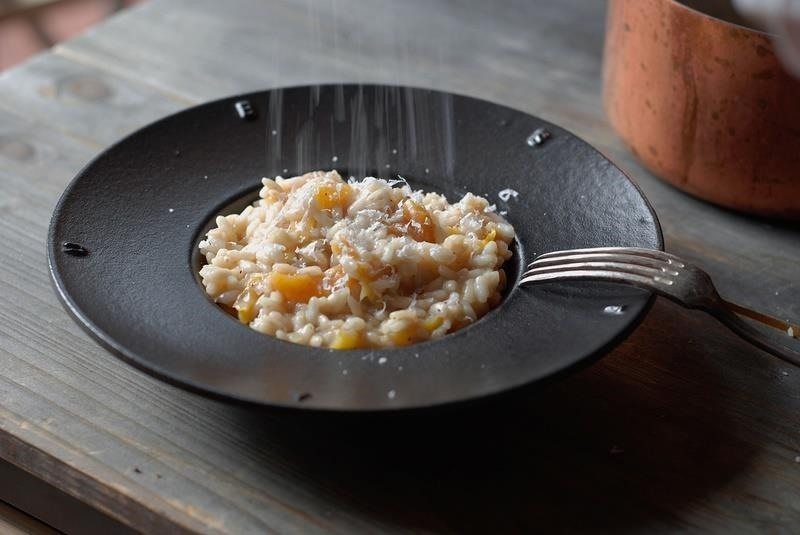 Arborio rice is by far the most popular for risotto, but if you live near a place with a larger selection, you can also use baldo, Carlriso, carnaroli, or vialone nano. The process is pretty simple. 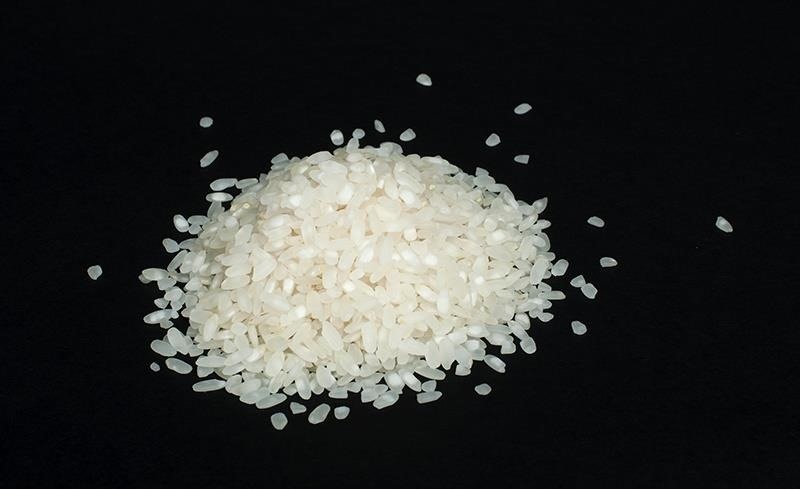 Pour the rice in the rice cooker and drizzle it with a little oil and stir to coat. Add the cooking liquid, close the lid and cook for 20 minutes, then turn it to the keep warm setting. While it's cooking, prepare any meat, vegetables or other add-ins. Make sure they're cooked through since they don't go in until the rice is already done. When the rice is finished, stir in any add-ins, a pat of butter, and about half a cup more liquid. Stir for one minute, then adjust as necessary. Depending on the texture you want, you can add more liquid if it's too dry or not creamy enough. You can customize your risotto any way you want. In addition to meats and vegetables, you can experiment with different types of cooking liquid, too. Beef, chicken and vegetable broths work well, but you can try adding some wine, too. 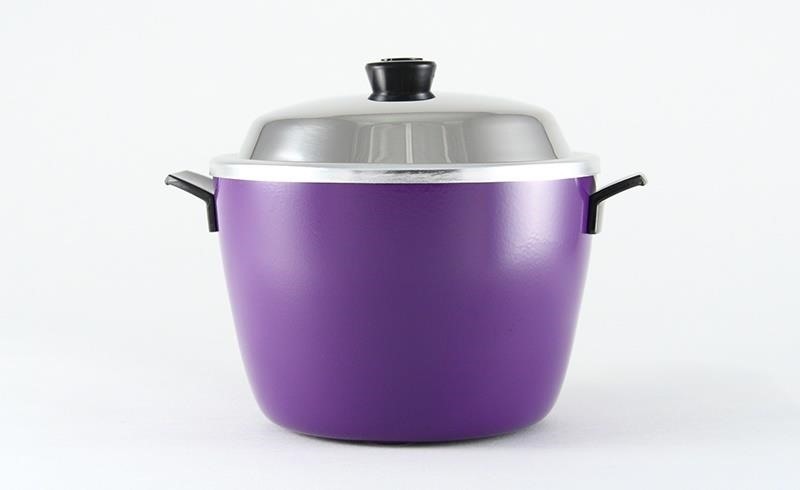 The amount of each ingredient will differ depending on the size of your rice cooker and how many servings you want to make. For 4 servings, you'd use 1½ cups of rice, 2½ cups of cooking liquid and a tablespoon of oil. If you need inspiration, a quick search will give you plenty of recipe options. Risotto's not the only unexpected meal your rice cooker can do—you can also use it to make oatmeal, soups, mac and cheese, or even a chicken. Check out Yumi's guide for 7 more non-rice dishes you can make in your rice cooker. Nice way of cooking meal, but in my opinion, try the same in Redmond 4500 multicooker is much better way of cooking. In multicooker usual rice gets faster and tastier.